Eagle Banque | let your personal finance soar! let your personal finance soar! Some may ask how you get a car when you have bad credit. Car financing can be a challenge in these times of constricted credit. Lenders are not freely giving money to even those with stellar credit. But bad credit car financing is available if you know how to go about it. The first step in securing bad credit car financing is to review your credit history. If you detect errors, get them corrected before you go for your car loan. You can order a credit report for free once a year. If there are inaccuracies, write a letter to the credit bureau explaining the discrepancies. They can either confirm the fact or remove it from your credit report. You will be surprised at how much your credit score improves when you challenge inaccurate information. The next step is to determine how much you want to pay for a car. This includes how much you can comfortably put down at the present and the amount your budget can handle in terms of monthly payments. You can use a car loan calculator to help you determine how much car you can afford. The next step in securing bad credit car financing is to prepare the documentation. This includes proof of employment and income. Remember that with a house, the value of the property doesn’t change when the new owner takes possession, but with a car, the value drops when you drive it off the lot. That is why the people giving car loans have to be so picky about who they finance. Finally, keep a clean credit history. Once you have secured bad credit car financing, make sure that you pay your loan on time every month. This will help you get loans in the future. Bear in mind that as a person with less than stellar credit, you will be expected to make a larger down payment and will be faced with higher interest rates. This means your monthly payments will either be higher per month or stretched out over a longer period. You might be expected to put down up to 50 percent of the car’s price in order to secure the loan. The interest rates can be up to 25 percent. At that rate, on a $15,000 loan over 4 years you will pay more than $9000 in interest. You should watch out for dealers who “specialize” in bad credit car loans. These dealers often have inflated prices on the cars and higher interest rates than you would be able to secure elsewhere. Often people faced with bad credit auto financing situations are better off purchasing an inexpensive new car than they would be going to a used car dealer as new car dealers can secure factory financing. The good news about bad credit car loan is that if you make all of your payments on time, you will be building good credit for yourself. That means the next time you go for a car loan, you can get it at a more attractive rate. For homeowners or borrowers who have low credit rating, in notice of default, foreclosure or bankruptcy, they usually immediately get declined by banks. But does it mean that they cannot get a loan and lose their home? No, because there’s still some type of loans that they can take. Hard money or private money loan is the solution for low credit borrowers and who are in financial distress such as a notice of default, foreclosure, bankruptcy, credit delinquency, judgments, collections, tax liens, etc. Hard money is equity based lending. As long as the borrower has equity left in the house after the deductions of all mortgages owed, liens, charge offs and collections, interest payment delays, and prepayment penalty. Hard money represents hard-earned money of individual investors, groups, corporations, insurance companies, and hedge fund managers who are able to offer financing based on equity or collateral from the borrower. 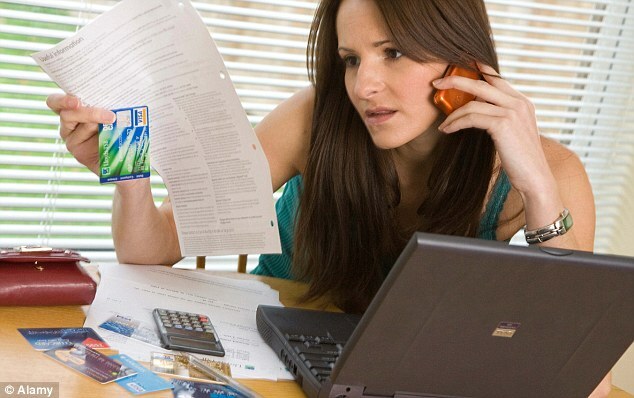 For borrowers who are going through financial hardship such as employment termination/downsizing, medical emergencies, natural disasters, divorce, business loss, or other valid circumstance that puts them in financial distress, hard money lenders are willing to work with them as long as they show an ability to repay the loan or have an ‘exit strategy’ when the term is over.The purpose of obtaining a hard money loan is to provide immediate solutions to foreclosure or low credit borrower that needs immediate cash to payoff debts or the existing loan has already matured and needs to be paid off. Hard money is the last recourse for borrowers if they can’t get regular bank financing. Hard money or private money loans are much higher rates and points. The high rates and points for hard money is an investment caution for hard money lenders or private investors. High risk borrowers present a potential headache to the investors when they default in payment. Going through the foreclosure proceedings, attorney fees and selling the property turnaround time are factors that bring high liability to hard money lenders. Hard money lenders or private investors are willing to take on high risks as long as it’s a good investment return. However, not all borrowers have good paying ability, which caused the private investors to charge higher rates to prepare for future risks and carry the property through foreclosure and re-sell the property. If refinancing for hard money will not work for homeowners/borrowers who are in notice of default, foreclosure or bankruptcy, there are other creative ways that they can get help from hard money investors. Such creative ways may include a sale contract, lease purchase or the investor going to title and giving time for the homeowner to sell the property. These are not easy to do, but can be done if the homeowner doesn’t have other options. The advantages of hard money loan allow the borrower to get out from financial distress by paying off debts, save home from foreclosure, avoid bankruptcy, and ability to rebuild credit within 6 months to 1 year time-frame. Hard money offers a ‘great rescue’ for homeowners and borrowers during hard times. Are you interested in buying a used car from a used car auction? If you are and if this is your first time trying to do so, you may be interested in learning more about how the payment process works. Before examining how the payment process works at a used car auction, it is important that you know that not all used car auctions are the same. For starters, different auction houses and companies have different methods of operation. It may also depend on the type of auction that you attend. For instance, if you were to attend an auto auction, one where only used cars were being sold, you may have a little bit more flexibility, payment wise, than you would if you attending an auction where a number of products, including used cars, were being sold. Despite the possibility of a variance, there are a number common ways that you can go about paying for a used car at an auction. One of those ways involves cash. Cash is a nice and easy way to pay for a used car at an auto auction. The only thing that you need to do is be sure that you have enough cash with you. Checks are another method of payment that is accepted at most used car auctions. Although checks are commonly accepted, it is not uncommon for restrictions to be attached with a check payment. For instance, there may be a limit on how much you can write a check for, like two thousand dollars or so. You may also find that it takes longer to receive your recently purchased vehicle. When it comes to large check amounts, many used car auction houses or companies hold off on the delivery or pickup of your vehicle until your check has cleared. Depending on the auction house or company hosting the used car auction in question, you may also be able to receive used car financing. While being able to receiving used car loan is nice, especially if you are in desperate need of a new vehicle, it is a service that is not always offered. Therefore, if you need to rely on used car financing, it is important that you search for an auto auction that has used car financing options available. Of course, before agreeing to sign on any dotted lines, you will want to review the used car financing offered to you, including the term of that fast cash loan, as well as the interest rates. As outlined above, you have a number of different options when it comes to buying a used car from a used car auction. By choosing to attend an auto auction hosted by a well-known auction house or company, you may gain access to as many as fifty or more used cars for sale. Did you ever think that car dealers are often portrayed as predators just waiting for an unsuspecting customer to come along? This is because many people believe that they are always on the prowl for unsuspecting buyers that are not very knowledgeable about cars. 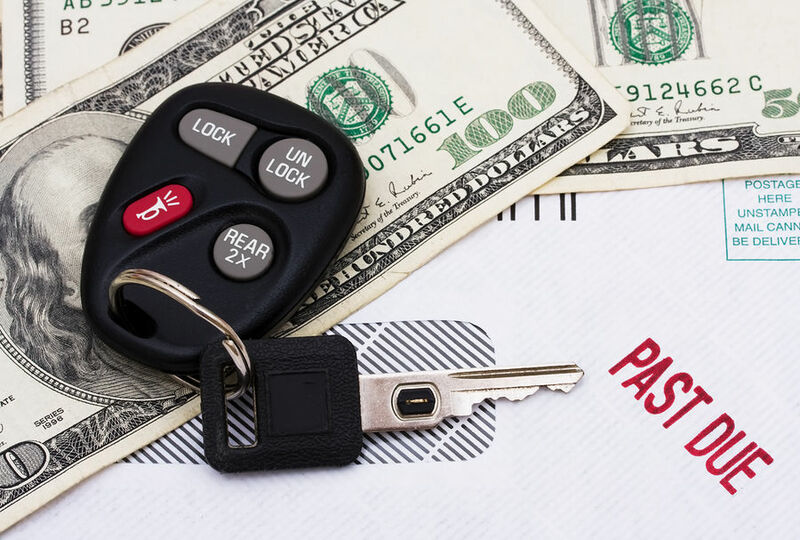 So how do you tell the difference?To avoid becoming a victim of sneaky car dealers, look at the following auto financing scams you will know which type of lenders you should avoid. Yoyo scam. You will be allowed by the dealer to bring the car home as soon as possible. The dealer will take care of the financing, a few days later he will contact you again and tell you that there was a problem with your financing plan. He will tell you to set up a new financing scheme through him, which, of course, will be at a higher cost and this will also entail a very high profit on the dealer’s part. Preparation fees. For preparing your car, the dealer will often add an additional preparation fee to your bill. Just to conduct a test drive, replace fuses, or take the car’s plastic cover off will have your bill increasing by at least $500! To take care of this scam, you can ask the dealer to classify it as a credit (it should be identical to the amount of the preparation fee) on the following line. If the dealer does not agree to this, you can just simply walk away from the dealership. Market adjustment. The dealer will convince you that the vehicle you want is selling like hot cakes and very popular. In order to sell you the vehicle, they will do some “market adjustments” amounting to a few thousand dollars. Remember, even if the car you want is very popular and is very much in demand, if it is in stock you should not be tempted because getting a “popular” car is not worth it if you have to pay a few thousand dollars more. You should never pay more than the price set by the manufacturers. If you do, then you are allowing others to take advantage of you. Warranty extension. Although this type of scam has been old already, it is still being used and there are many who fall for this trick. What happens in this kind of scam is that when you make a loan for the car, the dealer will tell you that you are required to purchase an extended warranty because it is one of the conditions of the bank. There is a simple way of avoiding this scam. Ask the dealer to specify clearly in writing that the extended warranty is required for the loan to be approved. The dealer will most probably find a way to have it excluded. If he persists in including the extended warranty, do not do business with this guy and go to other dealerships. These are some of the most common auto financing scams that are utilized by some car dealers. Always keep this in mind if you are going to buy a car. If you or a friend were treated fairly by a dealer in the past, consider using the same dealership again. It’s a good indication that they do care about their customers and aren’t just looking for a quick sale. One of the most confusing things about borrowing money is calculating the interest rates. Interest rates vary and when you go to take out a loan or a mortgage it might seem intimidating when the loan officer from licensed moneylender Singapore starts talking about interest rates per annum, nominal rates and market interest rates. There are different types of interest rates depending on whether you are borrowing money or investing money.When you are borrowing money you have to pay interest back at a set rate. These rates are determined by several factors. One of these factors is risk. If you have a bad credit rating the rates at which you pay interest on loans may be significantly higher than someone who has a pristine credit rating. The reason for this is that the lender sees you as a risk. When you are at risk, the rates applied to your lending rise. This can make it especially difficult for someone with a bad credit rating to purchase something major including a home or a vehicle. They may be able to afford the initial payments, but once the interest rates are added, the amount exceeds their budget. Another factor that determines interest rates is the length of the loan. Lower interest rates are often offered if the consumer extends the period of the personal loan Singapore. To the consumer this may seem like a windfall. They view the smaller interest rates as a savings to them. Short term it is but since the loan is being extended to take advantage of the lower interest rates, they are actually paying out more money in interest over the length of the loan. So in the end, you have to know how to get personal loan lowest interest rates to get the best savings for your loan. Interest rates do not only affect just the consumer, but they have an impact on the economy as a whole as well. When interest rates climb, people are less likely to purchase goods that aren’t essential to their lives. Car sales drop and home sales often plummet as well. The average consumer doesn’t want to spend the extra money on the increased interest because the rise in rate just means less money in their pocket. The cost of the goods they are purchasing hasn’t changed, it’s the cost of purchasing those goods that has. On the other side of the interest rates spectrum is investing. People want to invest when interest rates are high so as to yield the biggest profit. Years ago the traditional savings account was often viewed as the traditional investment tool. The bank would post their interest rates and people would save their money in the hopes that it would grow substantially over the course of a number of years. Today you are more apt to find people investing in many diversified things; gold and Singapore gold price rates, pawnshops, money market funds, the stock market and bonds. If you decide to invest in bonds they will have a posted interest rate. The rates on bonds might be slightly higher than other investments because with many bonds you have to lock your money into the investment for a specific amount of time. The period can be anywhere from several months to several years. Interest rates have a great impact on our lives.And to keep on top of both your borrowing and investment needs it’s a good idea to follow interest rates.